Revolutionary leadership requires fresh minds; sticking with the same pool of eyes on an idea can result in only stagnant and stale approaches and solutions. However, in the case of executives in the United Kingdom, it appears this is not an option. Instead, the pool of Chief Executive Officers and officials company’s choose from appears to operate as an exclusive club, with only certain members being seen as potential leaders for companies, according to an article recently completed by Forbes. It has long been an accepted fact that the pool of executives in the United Kingdom is not only limited, but exclusive. Several years ago, the very group of individuals deemed that it would be too difficult to increase the number of women to make the endeavor worthy. This declaration reinforced the elitism of the industry and the inherent need for mutual and familiar recommendation. However, a study produced by Hire Rite, Limited, a global due diligence company, entitled The Untouchables: Protecting Your Organization From Leadership Risk, confirmed the previously assumed fact that the leadership pool was simply an exclusive club. For the study, one hundred and forty Human Resources directors for some of the United Kingdom’s biggest companies were survived. The study found that sixty six percent of these Human Resource directors admitted that they failed to verify the background of new members of their organization. Thirty one percent of new Chief Executive Officers to the company do not undergo due diligence tasks during the process of their appointment. In addition to this, twenty four percent of Human Resource directors believe board members never once had their qualifications, work history, criminal record or social media profiles researched prior to employment; this statistic applies to the entirety of the board member’s entire careers. Specifically, forty five percent of Human Resource leaders say they know of companies where Chief Executive Officers go through significantly fewer interviews and tests than newly hired graduates. In addition, thirty seven percent of these leaders admit that this is the case for their own company. This is not due to a lack of qualification on the part of those working with Human Resources. Ninety three percent of Human Resource members declare that they are able to carry out due diligence practices. However, forty nine percent admit that they assume the candidate simply wouldn’t lie on their resume. In addition to this, forty nine percent of executives win their position based purely on their connections. All of these statistics combine show an executive pool riddled with lies and faults. A call for improvement is beyond necessary. Ashely Furniture is the number 1 furniture manufacturer in the world, and the number 1 furniture retailer in North America. 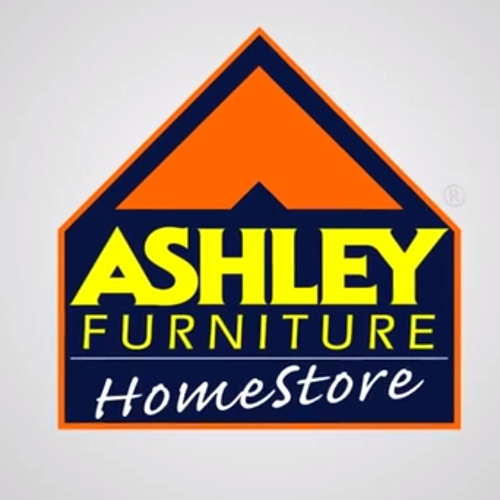 In this video, Managers and Sales Managers explain why Ashley Furniture is a great place to grow as an employee, whether its management, sales, or more. “When you leave home, you’re coming to your second home”. Priorities for Baby Boomers in charitable and philanthropic acts involved creating a legacy of charitable contributions. Their charitable habits involved decades of contributions, typically to the same group of charities, and usually local organizations focusing on supporting the arts or cultural institutions such as museums. In addition to this, the driving motivation behind charitable contributions made by Baby Boomers is typically focused on the applicable reduction in taxes. However, according to an article recently completed by The Wall Street Journal, Millennials are motivated to charitable contributions by completely different sources. Millennials wish to contribute to causes that are close to their hearts—something that applies to their personal passions and interests; talk of fewer taxes will do little to persuade this generation. Millennials tend to favor socially conscious, globally minded charities that champion civil rights, good business practices and environmental protection. This is due largely to the fact that they have been raised with social media sites as part of their daily lives; social networking has made the world smaller, made global issues seem far more personal. In addition to this, social media has placed a focus on the here and now for Millennials. Their focus is on the immediate impact their donations can make today, not decades from now; this, in turn, neglects the motivation of building a charitable legacy, seen so commonly in Baby Boomers. Instead, they wish to be part of social movements and causes that correspond to their personal passion. This is seen particularly in the participation with the ALS ice bucket challenge. The cause presents the perfect combination of fun, social media exposure and charitable contribution. According to the 2014 Millennials Impact Report, eighty seven percent of people between the ages of twenty and thirty-five donated a financial gift in the last year. With such a high amount of Millennials making charitable contributions, advisors need to take note of this philanthropic group. The article suggests advisors help Millennials see the physical results of their money; tax forms of the nonprofit of choice should be examined, so clients can see specifically where their money is going.